Before buying a baby monitor, you should analyze what features are important and what is not. There are plenty of baby cameras out there and to choose one is a tedious task. 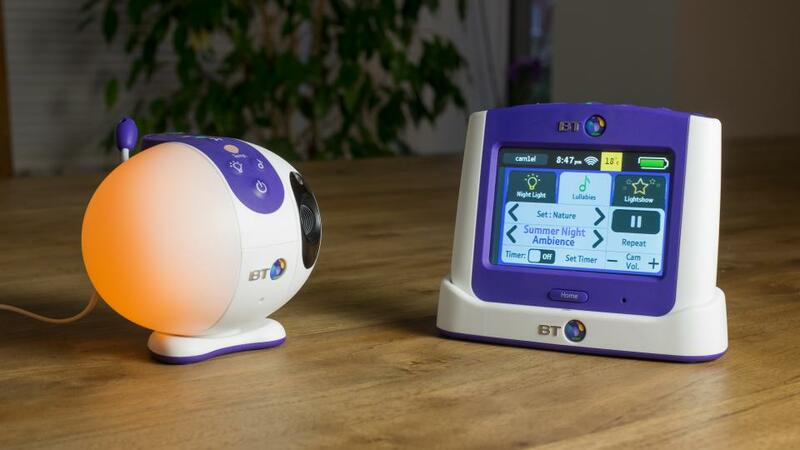 We have tested various baby monitors and IP cameras to see which one is the best wifi baby monitor but what we found was choosing the right one entirely depends on your specific need. Although there are basic features like range, image quality, and voice clarity, most products from top manufacturers have a decent rating for these features. Below we list the top-rated baby monitors to ease your selection. What to look for in a wifi baby monitor? Those who want to spend less on a baby monitor can opt this. Most of the models are under $50 and all have basic function of alerting you when the baby cries. Using 2-way audio monitors, you can even sing lullabies to your baby. Obviously, you can watch every movement of your baby using the wireless camera and parent unit. In this article, we intend to guide the consumers to buy the best video monitor for babies. Check out the list of the best video baby monitors taking into account the following factors and considering every budget from cheap to high-end models. First things first, the most important factor to consider when buying a baby monitor is its range. Do not believe what the manufacturer says on the package, that value is an open-ground range where there are no obstacles. There are many obstructions in a house that hinders the range such as walls and wirings. Most products have a frequency of 49 megahertz which has a shorter range. The next level is 900 megahertz which has longer range but interference too. Then comes 2.4 gigahertz but WiFi modems also have the same frequency range, means interference will be there if you have home WiFi. The best frequency range to opt is 1.9 gigahertz. We have tested many top products in terms of range and found out Infant Optics DXR-8 is the best which provided clear streaming up to 90 feet away through 5 walls. Video quality is also of prime importance as the parents should see clearly what’s going on with the baby. The video must not get blurred when you zoom in. After all, it is pleasant to see our babies in high-quality video rather than pixilated one. 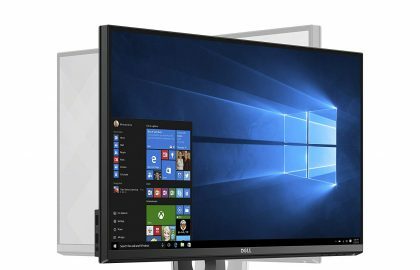 Although there are 1080p full HD models available, as you may be using a small monitor (I mean screen size) lesser resolution is also enough. Infant Optics DXR-8 has excellent video and audio quality. The camera maintains crisp and clear video and audio all the way to its maximum range. You can connect your ‘baby monitor camera’ to an existing home network. It can then live stream through the internet. You can save the videos to watch later too. Wireless baby monitors use your smartphone as the screen which enables you to watch over your baby from anywhere if you have internet on your phone. The same principle applies to IP cameras too. They are basically used for home security, but baby monitoring can be done too. Moreover, IP cameras are cheaper than wireless baby monitors. But most IP cameras do not have talkback feature and are not ready-to-use kind of product. You will need an active router and internet connection. This becomes an issue when you need to monitor you baby 24×7 while you work in the kitchen or doing laundry etc. Battery life is important for every portable electronic device. Look for the longest lasting when buying. 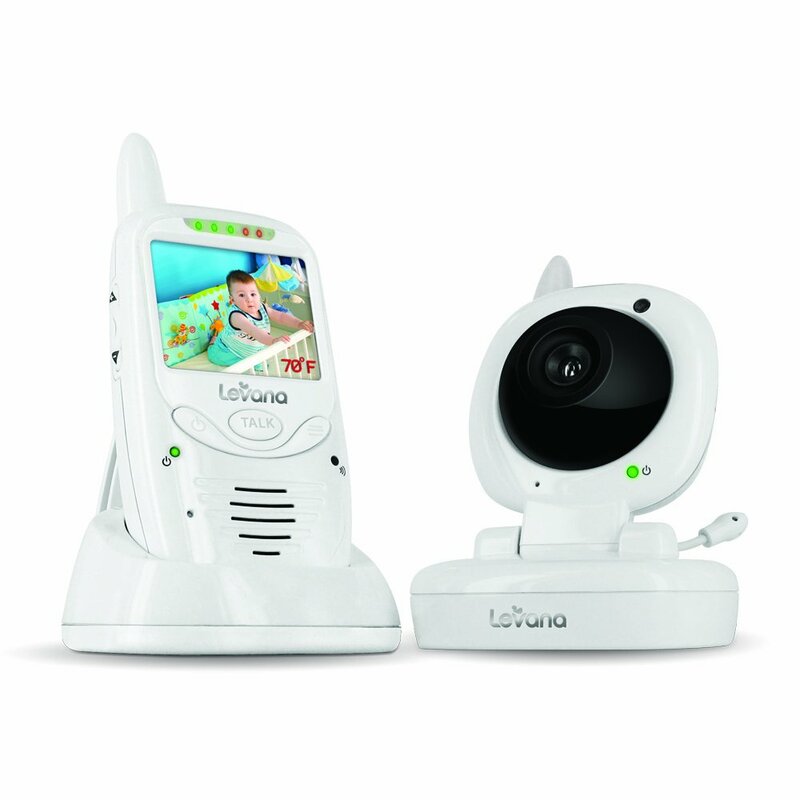 Our recommendation would be Levana Baby Monitor which has a battery life of over 12 hours. To ensure security and privacy, the signals must be encrypted. Look for DECT certified products. DECT stands for Digitally Enhanced Cordless Telecommunication which offers better security with encrypted audio signals and images. DECT technology is best used in the 1.9 gigahertz frequency range (mentioned above). The smaller device is easy to carry around but larger screen size with high resolution is always delightful. It’s entirely up to you to decide. If your baby monitor has 2-way talkback function, you can interact with your child like singing lullabies. You can also play music through the camera. It is helpful when the baby wakes up at night, maybe you can sing a lullaby to make him sleep. Almost all the baby monitors have this feature now. Look for a better night vision range when buying. The HelloBaby baby monitor has excellent night vision as you can see clearly up to 10m. With this, you can rotate, tilt or zoom remotely whenever needed. If you want to take a closer look at your baby or to casually scan the room remotely, this is the feature you should be looking for. The best option would be Motorola MBP36S. 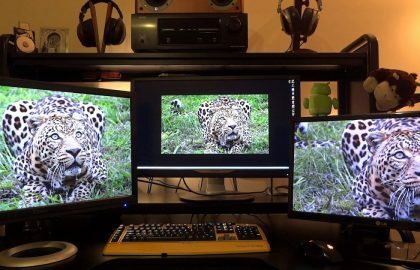 Almost every monitor has this technique. 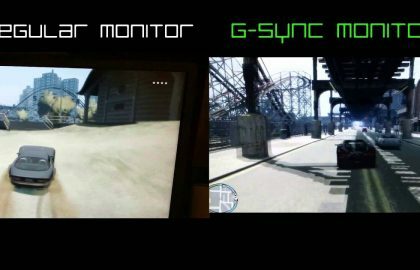 For some people, it is of great use that the monitor automatically turns the screen off after a preset time limit and turn back on when the baby fusses or moves. With some models, you can take snapshots of your baby, remotely. This helps to save those precious moments otherwise you may have missed. We liked Gyonii’s snapshot and short video feature the most. You can share instantly on Facebook, Twitter or save to cloud. Some models have an inbuilt thermometer which indicates the room temperature on the monitor. You can set desired temperature limit and it will alert when the limit is crossed. Infant Optics DXR-8 is well-received for its excellent video and audio quality as well as ease of use. Focusing on essential baby monitoring rather than fun features, the DXR-8 can be labeled as a professional baby monitor for every home. Setting up the device is quick and easy too. Charge the parent unit i.e. monitor, plug in the camera and that’s it. You can start watching your baby through the screen. Although it has a rather small screen of 3.5 inch and low resolution, the quality of the video is exceptional. We found zero lag and no quality difference up to 50 feet away from the camera. The DXR-8 features interchangeable lens, uncommon to those “feature-rich” baby monitors in the same price range. You can customize the camera for yourself. Buy an optional wide-angle lens separately and you can see the whole room where your baby is sleeping. The normal lens is inbuilt though. You can Pan Tilt or Zoom remotely using the monitor. We didn’t see much pixelation when zoomed in. Up to 4 cameras can be connected to one device and the battery lasts up to 8 hours for normal use. Other features include temperature indicator with which you can see the exact temperature in baby’s room without getting there, sound activated display which turns on automatically and alerts you when the baby cries and talkback function to interact with your baby. The camera is wall mountable also. The company provides 1-year warranty and their customer service is very good too. One drawback I can think of is the lack of snapshot feature. Although it isn’t necessary, still it would be fun to save those precious moments of your baby. It lacks Wi-Fi too so that you are bound to the device’s range but again, it’s one of the best in terms of range. 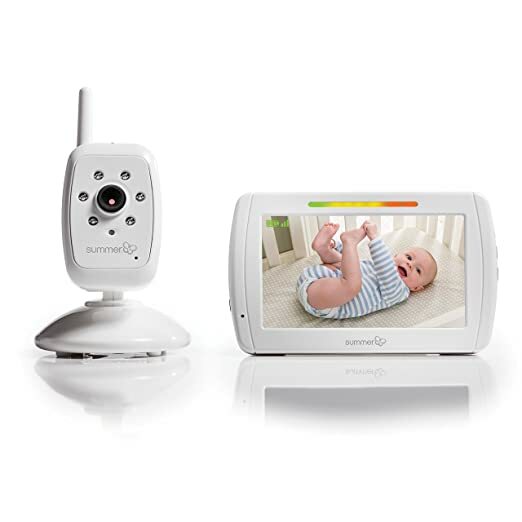 Overall, Infant Optics DXR-8 is a hassle-free simple baby monitor with excellent video and audio quality. We continue with one of the most awarded models of the Motorola brand, the MBP 36SC. 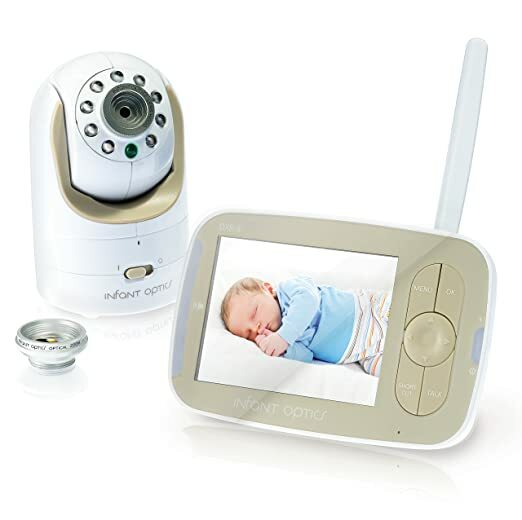 With this baby monitor, we can monitor the child’s room almost as if we were in it thanks to the sharpness of its screen and the quality of its camera. Today one of the main concerns with this type of device is that the signal is intercepted by third parties, which would imply an invasion of our privacy. It is for that reason that Motorola has decided to use digital technology 2.4GHz FHSS to encrypt the signal so that only we will have access to the images that are transmitted through the camera. The monitor has a 3.5 inch high-resolution LCD screen so that you do not lose any detail of the baby while we are in another room. One of the most useful and practical is the possibility of zooming, as well as moving the camera horizontally and vertically remotely. It is known for its PTZ capability and security. The camera can be rotated at an angle of 300 degrees which extends the range of vision to see virtually every corner of the room. In this way, we can track the movements of the baby while playing or sleeping in your room. Also, the unit has a lithium battery for greater flexibility, although we can also use it directly connected to the current. With the MBP 36SC, you can communicate in a bidirectional way through the parent and baby unit, which will allow us to talk with the child as if we were in the same room with the baby. This function is one of the most useful because we can comfort the child from anywhere in the house. Likewise, when they can speak, it will be useful to communicate with them regularly. It is important to note that, unlike other models, the MBP 36SC provides clear communication between the two parties without noise or interference that may scare the little ones. Another feature that we can monitor from the parent unit is the temperature of the room. This is particularly useful during the hottest or coldest days to know if the child is at a comfortable temperature and we can dress it according to the weather. In addition, there are some lullabies included keeping the baby calm and relaxed. On the other hand, the baby unit is a high-resolution camera capable of transmitting clear images in a radius of up to 300 meters so we will have a wide range of vision. Also, this camera has infrared sensors that are activated automatically to monitor the child even at night and in low light conditions. The Moto Star Grip is yet another useful feature that is a support that will allow you to attach the camera in places where we normally could not. Like in the crib or some other object close to the baby. We can also place the camera on the back of the car and connect it to the car’s 12V port with a mobile charger. In this way, we can monitor if the baby has fallen asleep in the back of the car or if you need something while traveling in the car. The installation and operation of this baby monitor are easy. The camera should be placed on a flat surface or docked where we want with the Moto Star Grip stand. It is important that the angle of the camera is as centered as possible with respect to the place where the baby will spend more time. 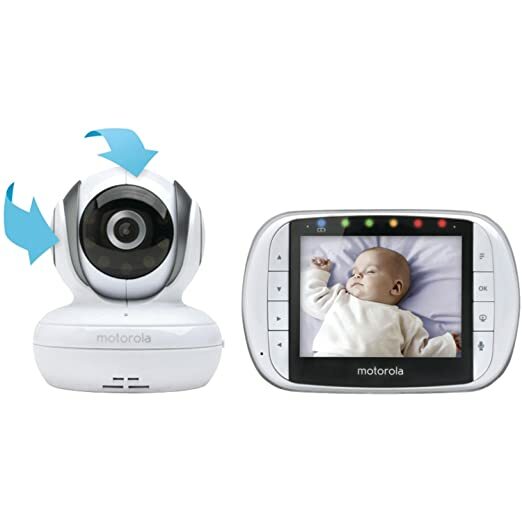 The Motorola MBP 36SC baby monitor also includes an ECO mode that minimizes the energy consumption of the device during operation, as well as lowering the intensity of the transmission signal so that it is below the limits recommended by health organizations. Overall, the Motorola MBP 36S is a feature-packed baby monitor worth the money. For every parent there is no star bigger than the baby itself, so … Why not monitor your little star from a big enough screen? 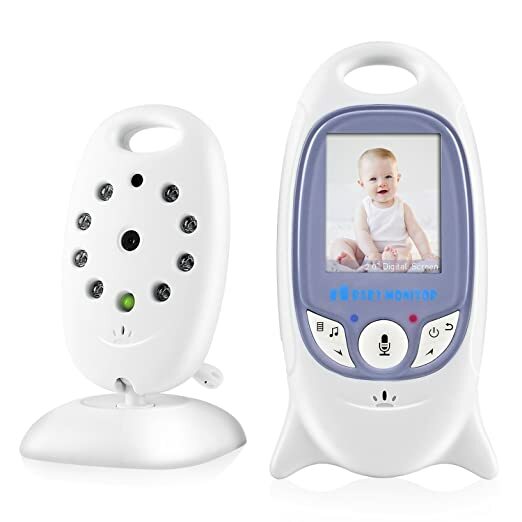 Summer Infant offers you this possibility with it’s In View baby monitor that features a 5’0 inch color flat panel LCD monitor and works with 2.4GHz wireless digital technology. The infrared LEDs on this monitor Automatically adjust the light level in your child’s room and transmit a clear black and white image in low light or dark conditions. 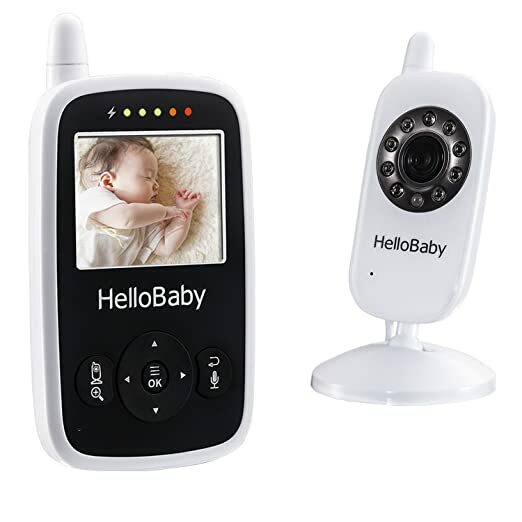 The digital zoom of In View will allow you to get a closer view of your baby with the touch of a button, and its rechargeable battery and its maximum range of 600 feet will allow you to move freely indoors, always keeping your baby in sight. Indicators of low battery and out of range. Includes wall anchor and safety clips. Energy saving mode, volume and brightness controls. Type of power source: Rechargeable battery. Product dimensions: 5 x 12 x 11 inches. If you are looking for the cheapest baby monitor, this could be the right choice. 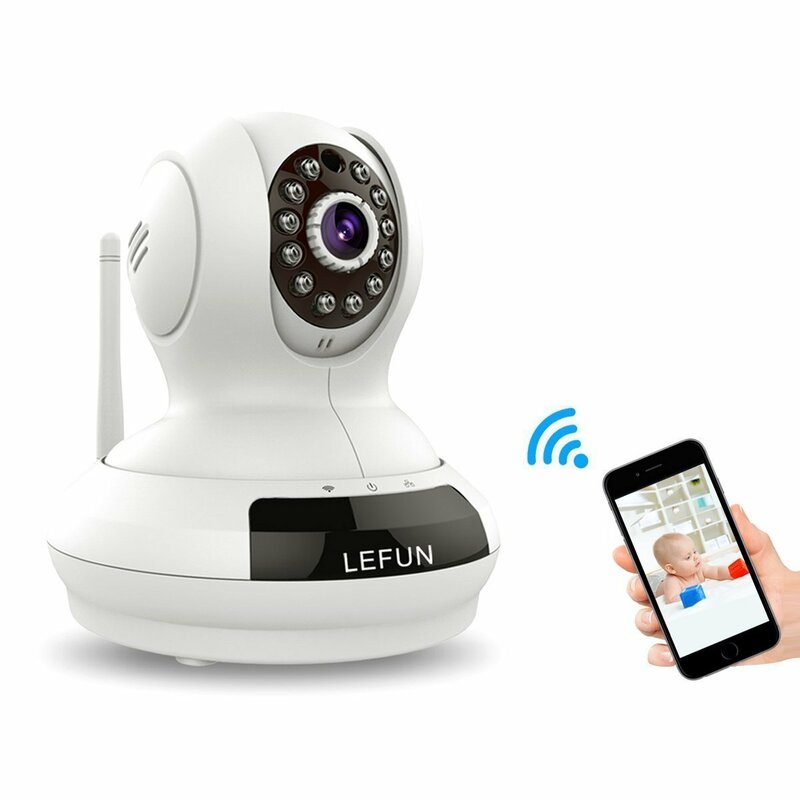 The Wi-Fi connection and the multiple uses of LeFun HP 720P make this baby monitor or surveillance camera an ideal option for you to monitor your baby from anywhere. The high-resolution 720P lens of this monitor offers the best video quality with HD recording and digital automatic zoom. It allows you to use video recording, fast forward and playback through the local micro SD card, and will surprise you with its widest angle of 350 degrees (horizontal) and 100 degrees (vertical) tilt, pan and zoom adjustment, infrared night vision up to 32 feet. All these are useful features at such low cost. The monitor has a two-way communication system that will keep you in touch with your baby so you can comfort him with your voice whenever you wish, in addition to the intelligent movement alert function, with which you can receive message alerts/instant photos to the mobile application to ensure the wellness of your little one. All cameras are CE, FCC and RoHS certified. Quick and easy installation. All functions and convenient price make this product one of the best Wi-Fi baby monitors available. If you want a medium range baby monitor with essential features and moderate quality, the HB24 is a good choice. This wireless video monitor provides a crystal clear image, without grainy or pixilated textures. Watching your baby at night will not be a problem thanks to its automatic night vision system, which shows clear black and white images in the dark. The portable parent unit has a rechargeable battery of up to 7-8 hours with the screen on and a range of up to 960 feet that will allow you to move freely around your house. The two-way conversation system will allow you to talk with your baby and comfort him/her with the push of a button, and the LED light set on the parent unit will visually alert you if your baby is crying when the volume is muted; A very convenient function for people with hearing problems. The monitor has a power saving mode, with which you can reduce battery consumption by 50% when you turn on audio-only mode, with the possibility of turning on the screen whenever you want to visually check your baby. You can also control the temperature in your baby’s room and play one of the 8 lullabies or polyphonic lullabies available to help him sleep when he wakes up. This magnificent baby monitor has a super powerful and rechargeable lithium battery that will give you 8 continuous hours of video surveillance and 12 hours when you are in PEEP mode, so you can take a break and perform other activities knowing that your little one will be well safe in your bedroom. It incorporates night vision and thanks to its 8 invisible infrared LEDs, you will be able to observe your baby up to a height of 12 feet in the deepest darkness, without him being disturbed by the red light that is emitted. The signal reaches up to 500 feet away, it’s quite clear, digital, private, secure and free of interference, which no one can access except you. This will give you the confidence that no one will be spying on the privacy of your home. You can communicate with your little one, thanks to Talk to Baby ™ two-way intercom technology, so you can soothe the baby by talking or singing a lullaby to him/her without being in the same room. It also works as a useful tool to ask your partner to come and give you a hand, so you will not have to shout for help. 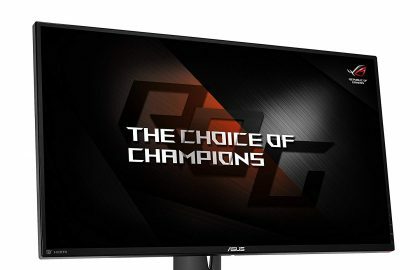 You can adjust it to 240 ° horizontally or 65 ° vertically as well as incorporate up to 3 additional cameras, its design is compact and convenient, has measures of 4 x 5.5 x 7.5 inches, weighs 1 pound, its screen measures 2.4 inches, is cheaper than other monitors and deliver good performance. Gynoii is a fairly new player in the field focusing on smart home solutions, founded in 2013. By this time Gynoii has managed to please the customers with their low-cost feature-rich products. Gynoii Smart baby monitor is such a device, wireless video monitor jam-packed with features. You can use it with iPhone or Android right away after buying. 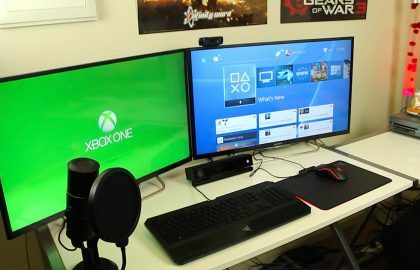 The set up is really easy. Download the app, sign up for free, and plug in the camera, connect it to home wifi. That’s it! A new company like Gynoii has done an excellent work in delivering a cheap baby monitor without compromising in quality. The camera is very compact with pan and tilt capability. The video quality (720p HD) is great but audio is average only. The night vision is good but not that great. There is two-way talk back feature and comes with 2 lullabies. You can play your own music through the app. The main attraction of Gynoii smart camera is its feature set. The time lapse function is a new addition to the baby monitor segment which is pretty useful too. You can watch a 160 min video in just 40 seconds. You can fast forward through your baby’s daily activities without spending much time. There is snapshot feature too of course, and in addition, you can record short videos and share these via Facebook, Twitter or save to cloud. Multiple users can access the data or watch the live stream if you let them. Another important thing is the security it provides. Gynoii smart camera offers advanced encryption for your data which ensures no one can access the footage without you knowing. You can connect up to 32 cameras at once which are way more than enough. 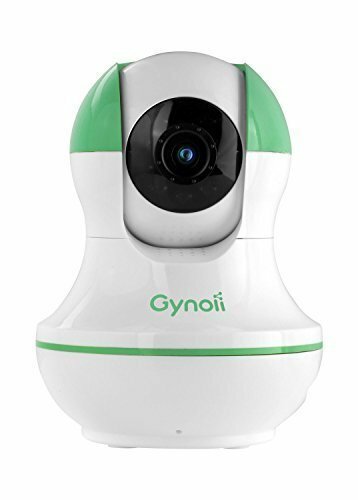 Overall, at this price, Gynoii is a worthy baby monitor with a lot of ‘fun’ features. This amazing baby monitor has a 2.4 “screen and an incredible night vision. It incorporates a rechargeable lithium battery that ensures 3 hours of continuous video and in echo mode, it will last all night. It precisely monitor the temperature of the room thanks to its built-in sensor, it has a 2.4GHz wireless connection, without the need to connect to WIFI or download an application, just plug it in, turn up the volume and you will have 100% privacy and security. Its power cord measures 7 feet which makes it very convenient to place the camera in any high place, which will give you a better angle and greater visibility. It also has a USB socket to connect to other devices. The monitor measures 2.4 x 0.8 x 1.2 inches, its batteries are rechargeable and it is less expensive than its competitors.